I honestly thought nothing could get uglier than the Colorado State-Gophers game on Saturday. I was wrong. MN sports fans, I am so sorry. This defense has no speed! First timeout of the 2nd half for the #49ers . 3rd & 5 on the 11. The team has been awful so far but I'm sure they will get a letter from the league telling them they are sorry for the missed pass interference. So instead of first and goal at the one they punt and that was a big change to this game. It could easily be 7 to 7. One of the most optimistic fan bases in the NFL is reaching for an old touchdown towel to clean their eyeglasses. 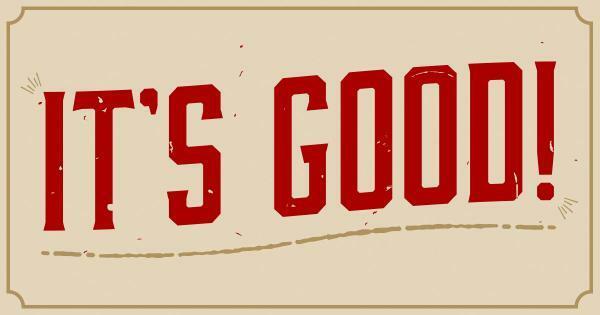 #49ers kick a field goal to go up 10-0. Even the foghorn sounds bored. 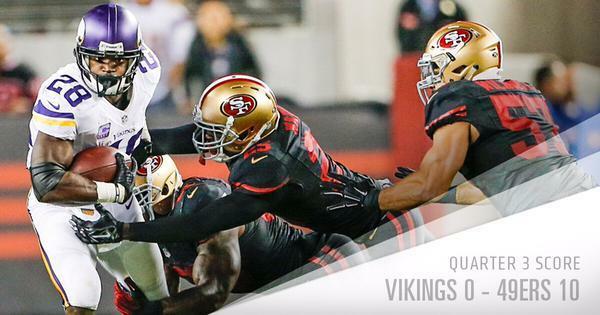 #Vikings go down 10-0 to 49ers w/ 4:32 left in 3Q. 30-yard FG for @phil_dawson_4 is good! Jim Tomsula's mustache looks like a caterpillar took a bath in boiling olive oil. 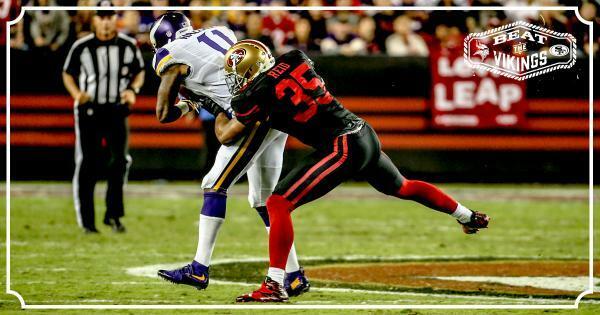 #49ers scoring drive: 14 plays, 73 yards, 5:42 results in a 30-yd @phil_dawson_4 FG. Can't change a call from first half...geez..move on..cmon offense...gut check.. They told me the Purple KoolAid would be safe to drink this year! Somebody lied! By the way Cordarrelle , ur an Idiot! I wish they'd kick it off from the 30 yard line liked they used to... now all we get is touchbacks and poor returns. As @GoesslingESPN has been saying, these shotgun runs w/ Adrian Peterson aren't looking natural for him. I am out here in Utah, does anyone know how I can listen to Paul Allen's play by play. Can't stand the ESPN announcers. One of the most optimistic fan bases in the NFL is cleaning its eye glasses. 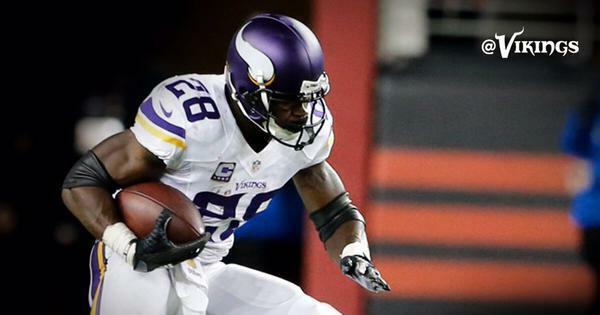 Adrian Peterson through three quarters of return: 10 carries for 31 yards, three catches for 21 yards. 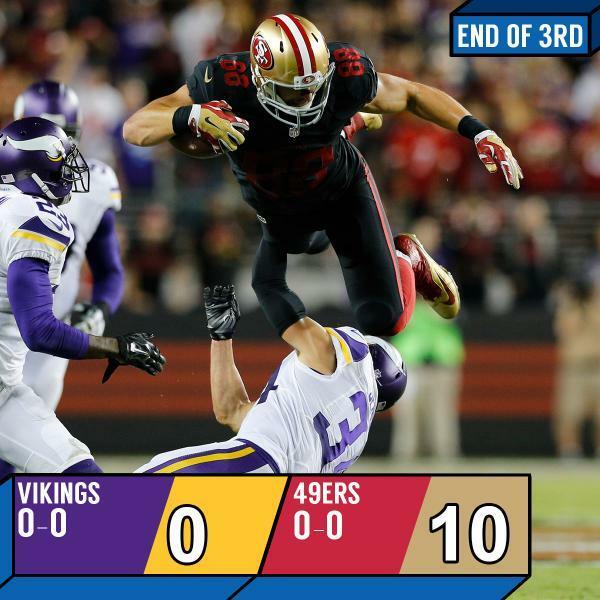 #Vikings still scoreless. 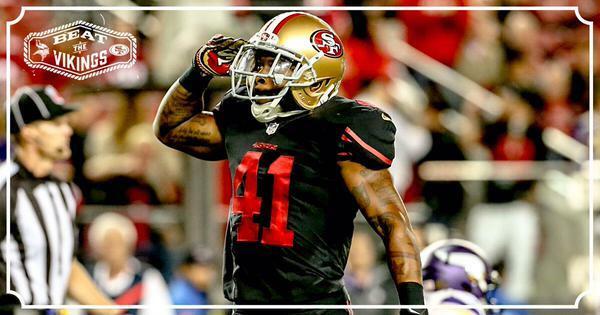 Niners win. Those cheerleaders!! Schwang! 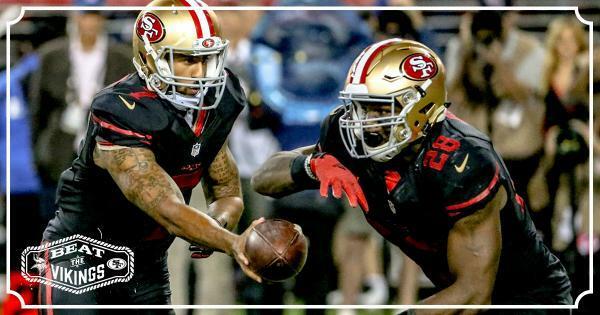 #49ers lead 10-0 at the end of the 3rd quarter! What happens if Walsh misses this? Blair Walsh made a field goal, and #Vikings trail 10-3 at start of fourth quarter. Looks like this offense hasn't played together at all. Oh wait.....the 11 on offense haven't ever played a down together in a game situation. Should we be surprised they only have a field goal? #Vikings trail 10-3 with 14:48 left in the game after Blair Walsh connects on a 37-yard FG. Vikings get on the board with a 37-yard FG. Whew! Vikings on pace to score 64 points this season. Hey, it's true. I did the math!